Juul, the popular e-cigarette company, announced it will be launching a $10 million TV advertisement campaign featuring ex-cigarette smokers who have made the switch to Juul's e-cigarettes. This comes after the company experienced a tumultuous year, as health officials and regulators criticized its use of social media ads and flavor options, considered to be aimed at underage teens. Juul is pitching the commercials as aimed at adults who already have a nicotine habit, rather than encouraging people to develop a new one. Juul is valued at $38 billion and took an additional $12.8 billion in funding last month from tobacco giant Altria. One of Silicon Valley's most controversial startups, the $38 billion e-cigarette company Juul, told CNBC this week that it is launching a $10 million TV ad campaign — touting the slogan "Make the Switch" to adults who are looking to stop the time-consuming and expensive act of smoking cigarettes. The fact that this is specifically aimed at adults is important: Concerned health officials, regulators, and parents all honed in on Juul's bright and colorful ads that were splashed over social media in 2018, calling them youth-centric. According to one recent study, its advertisements on teen-friendly services like Twitter, YouTube, and Instagram worked in getting underage youth to pick up the habit. Amid the criticism, Juul opted to leave Twitter and Instagram, and even briefly stopped the sale of flavored tobacco products that critics said were especially appealing to teens. The company is still under investigation by the Food and Drug Administration into whether it deliberately attracted underage users. The new TV ads feature adults, ages 37 to 54, saying they have jumped ship from normal cigarettes to Juul. The company's "most loyal customers," who were paid for their time, talk about how cigarettes have gradually fallen out of fashion. They talk about how "no one smokes anymore," and how they felt left out of social events when trekking to the store to buy a pack. The ads will air on cable channels after 10 p.m. local time. 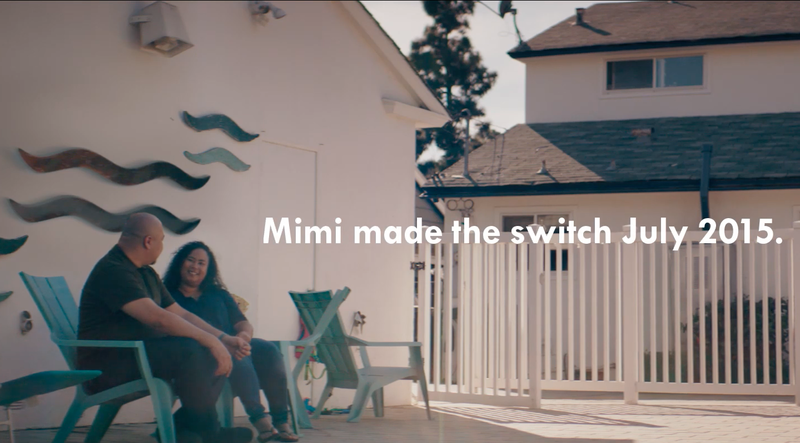 "Now that I am talking about it, I feel like I have lost about four hours of everyday," said Mimi, a 37-year-old featured in the ad. "I decided I need to find an alternative," she said. Ultimately, the point of the ads is to appeal to adults who already have a nicotine habit, not to encourage people to form a new one, the company indicates. In a press release announcing the campaign, the company said its success "ultimately depends on our ability to get our product in the hands of the adult smokers and out of the hands of youth," saying its product has the ability to be "life-changing." Juul is valued at $38 billion, and took an additional $12.8 billion in funding last month from tobacco giant Altria. Whether this ad campaign changes perceptions of the company amid the turmoil remains to be seen.